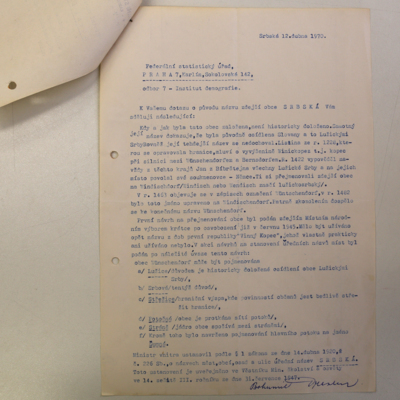 Correspondence between the National Committee in Srbska and the Office for National Statistics in Prague. The small slip is a request from the Office of National Statistics to explain why the name 'Srbska' was selected for the village. The reply gives no conclusive answer but offers a variety of possible reasons. 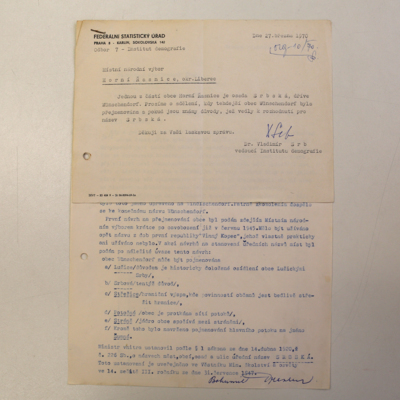 “Correspondence relating to the naming of Srbska,” Srbska, accessed April 25, 2019, http://srbska.org/items/show/415.